"Celebration of Spring II" continues the theme of delight in springtime. Executed primarily with a palette knife, layers of impasto create excitement and add atmosphere to the oil painting. 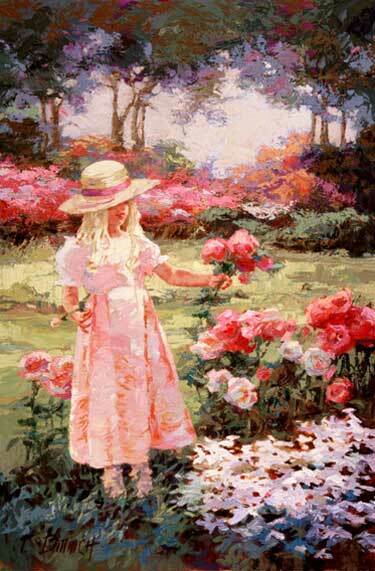 A child in a straw hat and pink dress gathers peonies in the dappled sunshine.